Submitted by Jeff Buster on Fri, 02/27/2009 - 15:11. 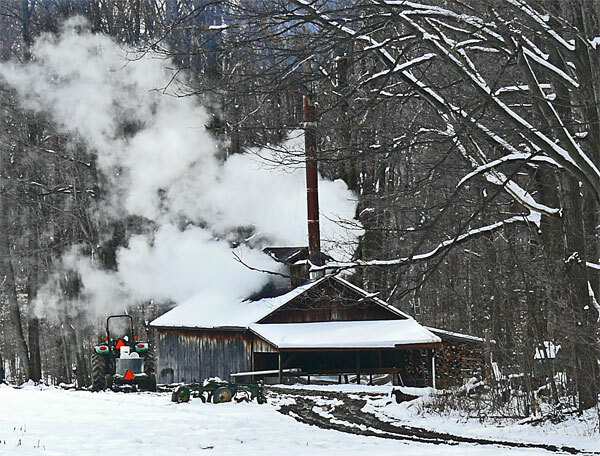 Producing maple sugar requires a lots of preparation, equipment, labor, and firewood. Right now in Ohio is when all these components are brought to bear on the maple sap. 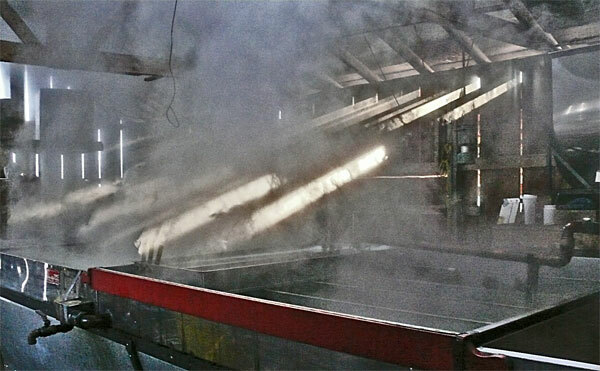 There are a number of tests (I will described some here in a comment soon) for determining the proper concentration of the sap as it flows through the pan still. But the color of the syrup is determined the old fashioned way – with the eye. 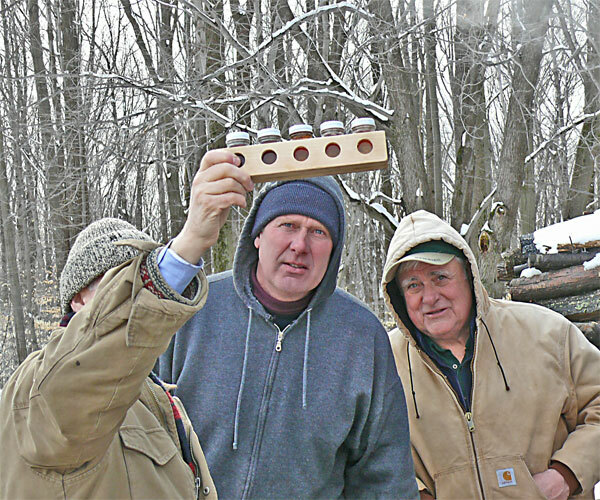 Following are a few maple sugaring scenes from Geauga County. Thanks to my hosts and the crew for their hospitality! Submitted by lmcshane on Fri, 02/27/2009 - 15:49. Jeff, I am constantly amazed by your ability to be in so many places at one time. Thank you for this story. Yum. Submitted by Quest-News-Serv... on Fri, 02/27/2009 - 15:49. Submitted by noner on Sat, 02/28/2009 - 10:18.
this has me frying bacon and whipping up some pancakes this morning! Heck, I might even make some cowboy coffee to get the whole experience!